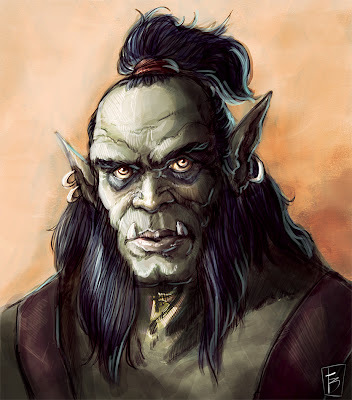 Here's an Orc portrait I did for someone on ConceptArt. About 1.5 hours. I was looking at a lot of Drew Struzan posters before doing this.